Doormat frame There are 8 products. Frame for doormat. 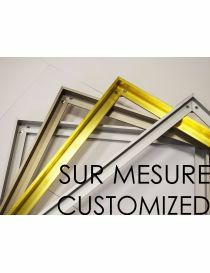 Frame in aluminum, brass or stainless steel. Consistent quality for use in homes, businesses and public buildings. 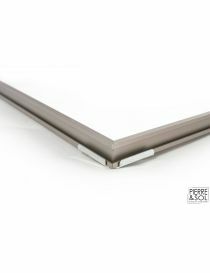 Other standard dimensions in stock on the doormat frames page. Please indicate the external dimensions of the framework. supplied with 4 angles and screws. 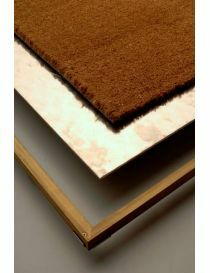 CUSTOM PACK - quality doormat + frame - For use in homes, businesses and public buildings. Standard height of 26 mm. Warning : frame with reduced height of 16 mm. Please check compatibility with your doormat. 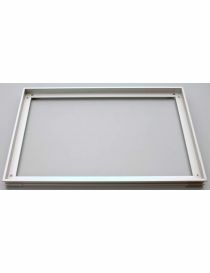 Frame 30/30/3 mm with bottom removable aluminium plate aluminium. Outside dimensions: 860 x 660 mmInside dimensions: 800 x 600 mm Without mat. 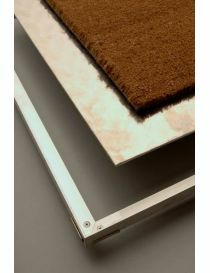 Frame mat brass with removable bottom - Alutrap COP - Rosco Frame 30/30/3 mm with removable aluminum back plate brass. Without mat. Inside dimensions: 800 x 600 mm. 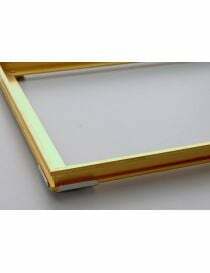 External dimensions: 860 660 mm. Weight: 13.25 kg.